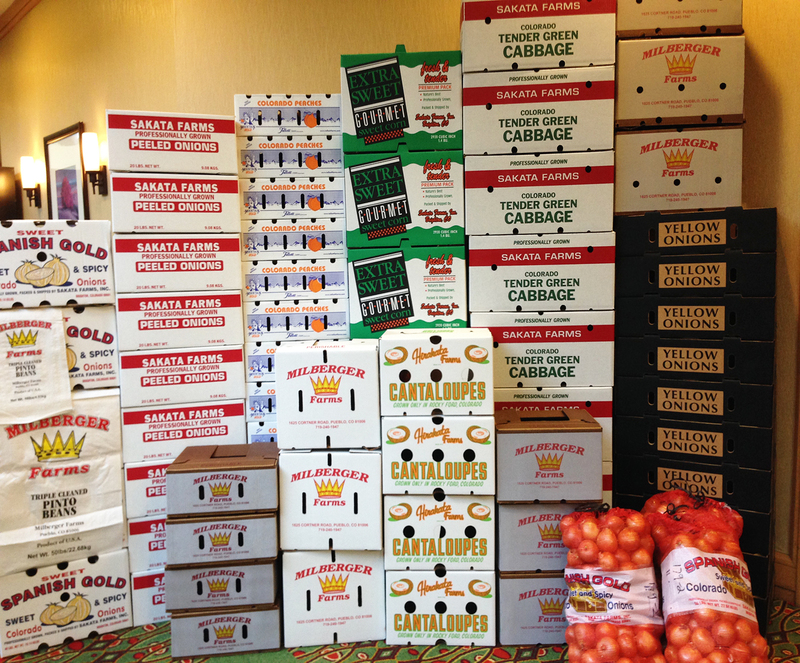 In addition to developing food and beverage brands, Brandwerks has expertise in agriculture. 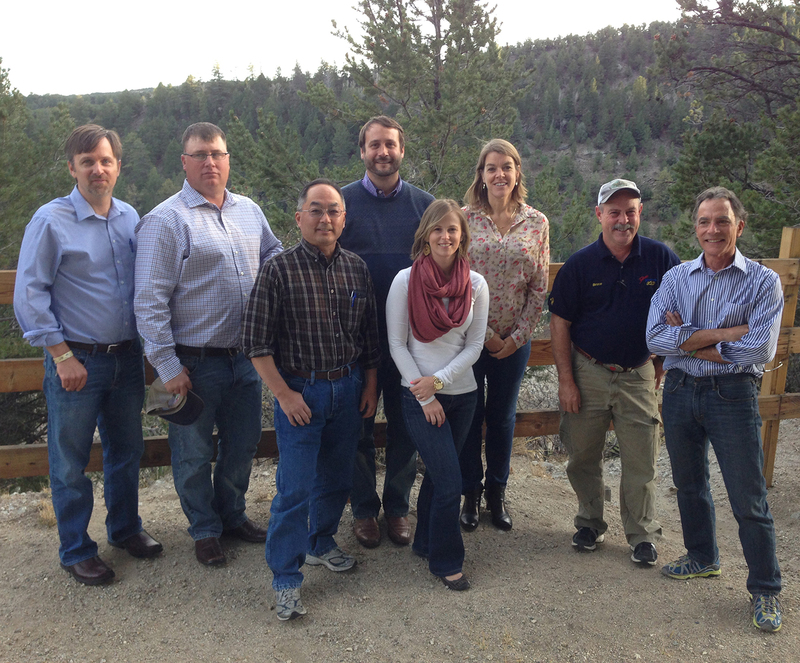 During the past few years, we have been fortunate to work with growers and the State of Colorado. Our projects have ranged from strategic planning to brand creation, to comprehensive, fully-integrated marketing programs like our revitalization effort for Rocky Ford Cantaloupe™. It’s been a privilege to play a small part in the development of Colorado agriculture. 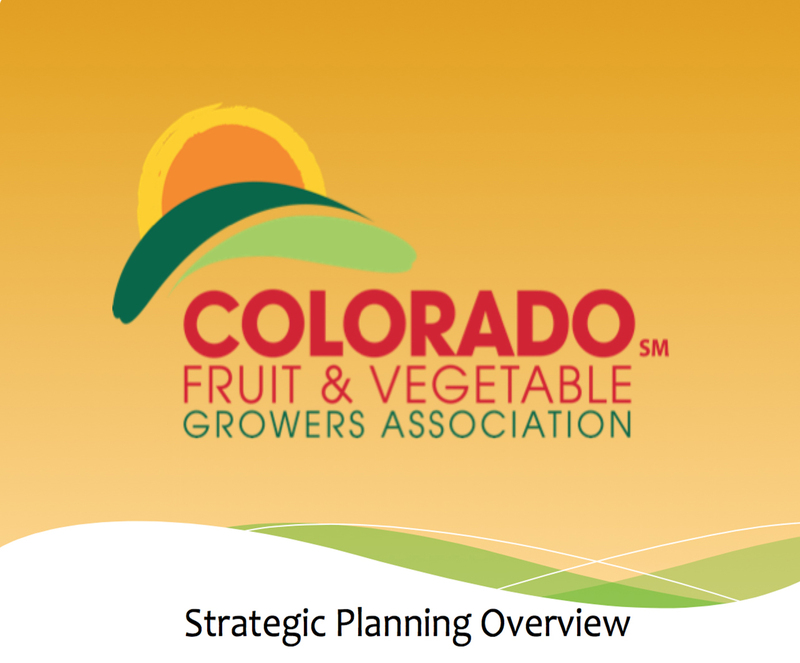 For the Colorado Fruit & Vegetable Growers Association (CFVGA), we decided to give back and create their identity pro bono. The new CFVGA logo is bright and colorful. 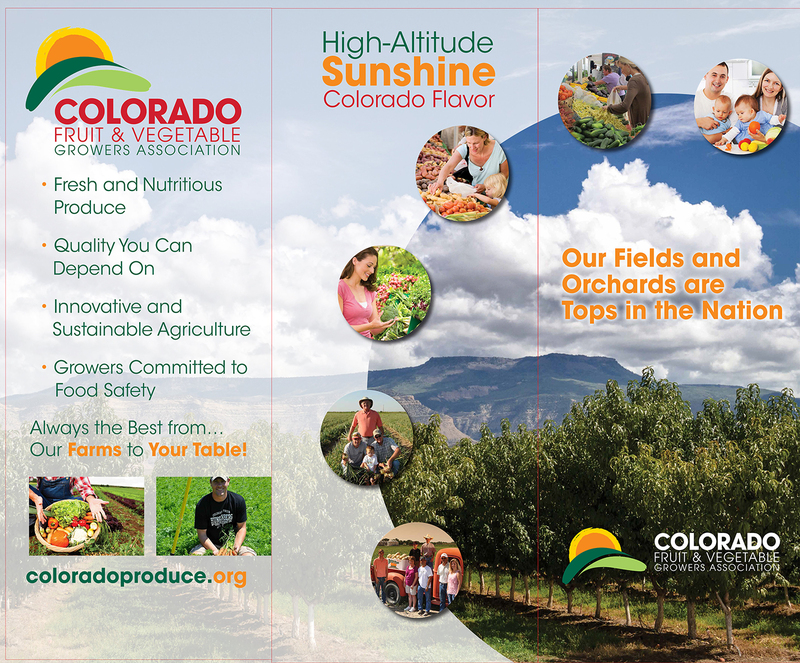 It communicates with vitality the incredible diversity of Colorado’s agriculture. 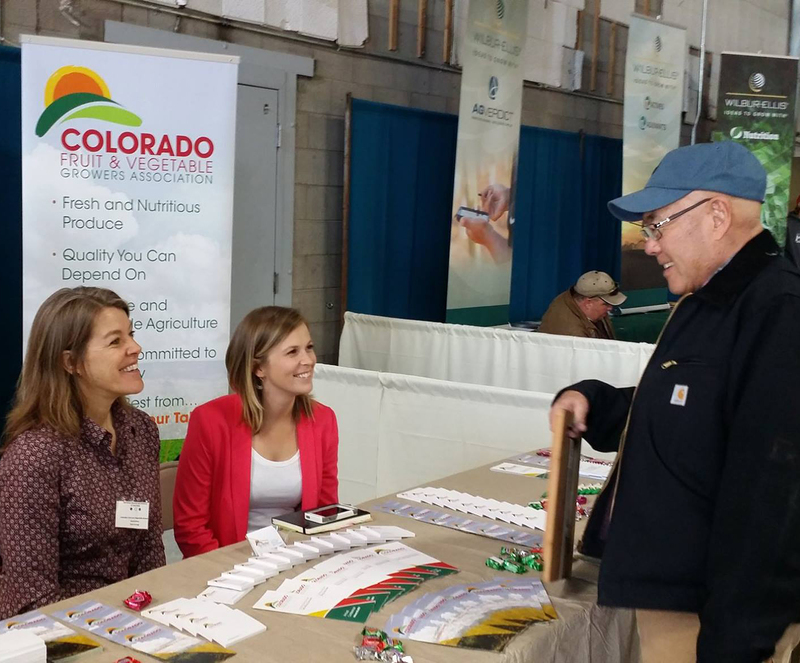 We wish CFVGA success with their efforts to promote Colorado agriculture. It’s a cause we truly believe in and fully support. As a result of our work, CFVGA asked us to facilitate and help create the Association’s strategic plan. Brandwerks has a defined strategic planning process that’s quick and painless, and involves a both internal and external participants, research and an assortment of ideation exercises. 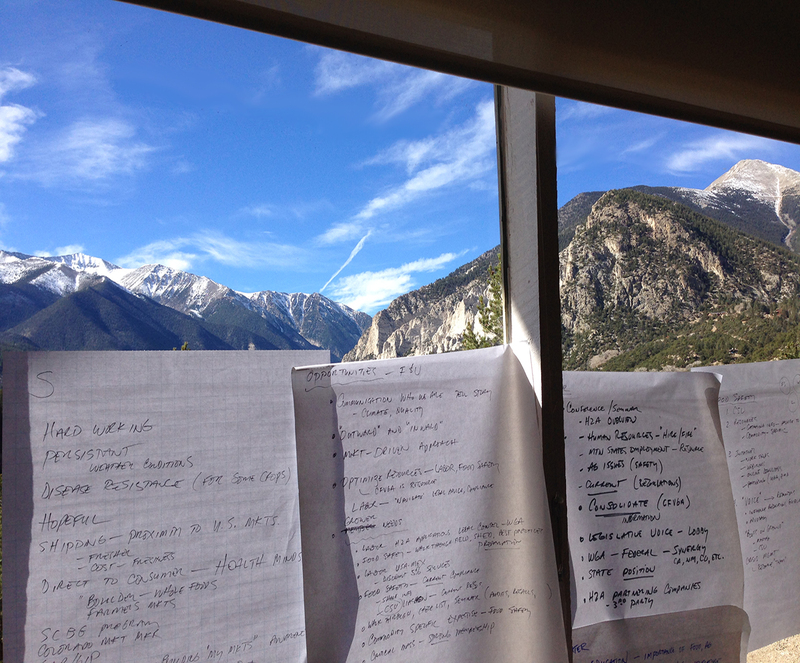 At a CFVGA Board of Directors retreat high in Rockies we brainstormed and “ideated” our way to a complete plan, which included defining CFVGA’s mission, vision and strategic initiatives. To complete our work, we created a PowerPoint presentation (pdf) and presented it to the Association’s members at their annual conference.